Generating more than $50 billion dollars of revenue every year, the fence industry has a stronghold on the construction industry. While the U.S. zoning committee estimates that upwards of 90% of applications for fences are for privacy fences, homeowners have an array of options to choose from to best suit their fencing needs. The style of fence you ultimately choose for your home should be based on multiple factors, including budget, optimal privacy, overall aesthetic and necessary upkeep. An aluminum fence that is well maintained can improve the curb appeal of a home and have a 65% return on investment. Wood is the most popular fencing type across America. Not only does it give homeowners a sense of privacy, but wood fencing is also one of the more attractive options on the market. Wood fences give homeowners a warm and welcoming feeling and without the headache of breaking the bank. Beware, the height and size of your fence will greatly impact the price. The more lumber you need, the more expensive the project will be. On top of that, like all fences, they take awhile to install. Therefore, a smaller fence will clearly be cheaper than a larger one. On the plus side, wood fences can easily last a lifetime. Just like hardwood floors, the quality of your fence will greatly depend on the type of wood you choose. Needless to say, you have plenty to choose from. Hands down, the cheapest way to fence in your yard is by using a fence made of PVC. These fences use PVC to replace wooden stakes and pickets, and although not nearly as sturdy, they can certainly serve the same purpose. The posts are PVC sleeves that go on top of wooden posts to add stability to the fence, but also cut down on material costs by using less wood. Sometimes, the PVC stakes are attached with an adhesive to the cross bars. Other times, they are fastened with screws. 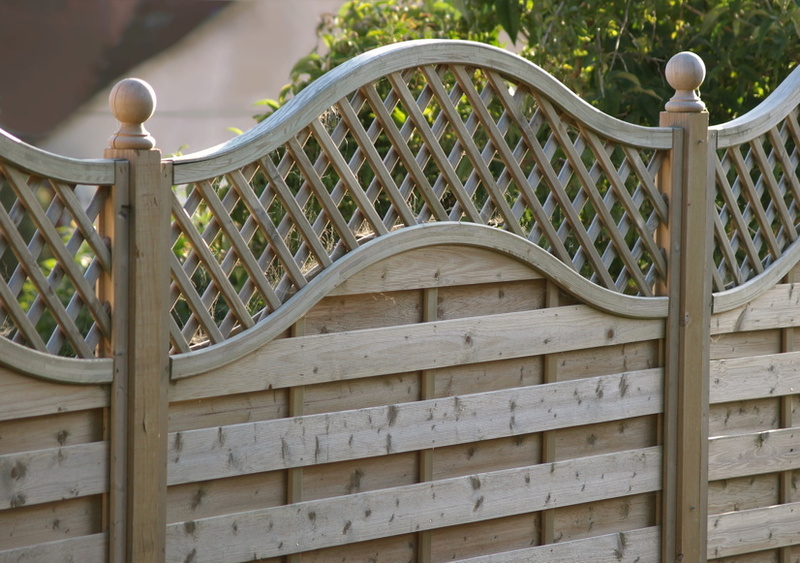 This type of fencing comes in a variety of different heights and colors. Because of its PVC makeup, the fence is very resistant to the elements and can last for years. Other than the cost, vinyl fencing is arguably one of the best types around. In fact, according to HomeAdvisor, some manufacturers claim that vinyl fences are nearly five times stronger and four times more flexible than comparable wood fences. While a chain link fence won't provide a large amount of privacy, it will help protect your yard and home from unwelcome animals and intruders. Chain link fences do not add much privacy to the home, but they do perform the other basic functions of a fence quite well. Homeowners, as well as school administrators, will be delighted to know that they are cheap, durable and need very little maintenance.